Non-toxic strollers. Strollers aren’t required to meet flammability regulations in the same way that car seats are, but they may still contain flame retardants and/or may be made with polyurethane foam or plastics that contain BPA, PVC, phthalates, and other harmful chemicals. Below is a list of excellent strollers that you’ll want to consider; most of these are made by responsible manufacturers who have limited their use of harmful ingredients in the making of their strollers. Please note that at this time there are no strollers that are truly “non-toxic”. And as a reminder, you should still limit the time your baby spends in their stroller and car seat. If you’re using an infant car seat, you’ll either want to purchase a stroller frame or choose a compatible full-size stroller that attaches to your car seat (or both, actually). Some car seat manufacturers also make a matching stroller frame, such as the Maxi-Cosi Maxi-Taxi Stroller and Chicco Keyfit Caddy Stroller. Otherwise, if your car seat doesn’t have a matching stroller frame, you could try the Baby Trend Snap N Go Universal Infant Car Seat Carrier. This is essentially a compact and lightweight version of a stroller, and I find that many moms use this in the early days. It should fit most infant car seats, including the Chicco, Maxi Cosi, Britax, and UPPAbaby seats. The beauty of this is that you can choose your own non-toxic car seat and not have to worry too much about the materials used in the stroller frame because your baby will only make direct contact with the car seat. 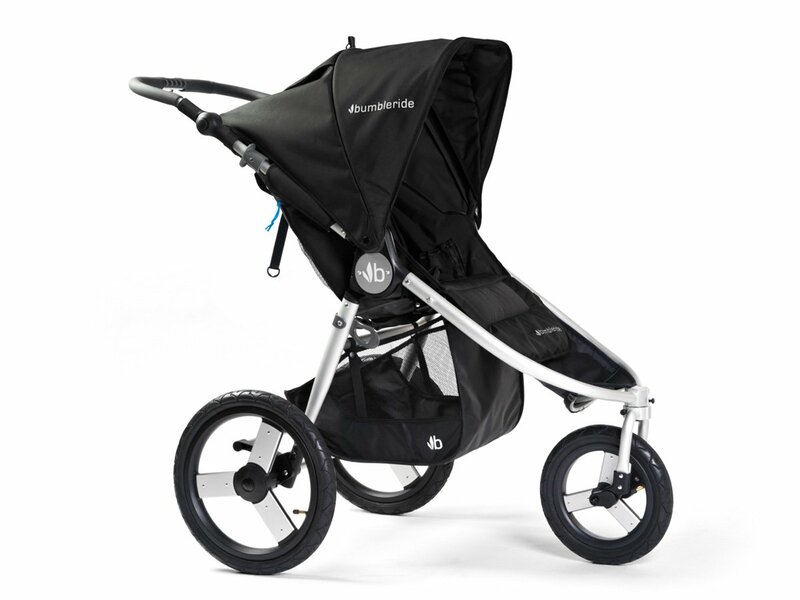 Baby Jogger City Mini: The City Mini stroller is extremely popular, and for good reason. It’s lightweight and portable, and can be folded down with one hand (meaning… you can fold the stroller while holding your baby!). It steers well and has a generous sun canopy, and the seat reclines to a near-flat position, making napping in the stroller a lot easier. In the United States, Baby Jogger’s strollers are made free of flame retardants, PVC, BPA, latex, Teflon, phthalates, AZO dyes, and Scotchguard. The biggest downside to this stroller is that it doesn’t offer a parent-facing option, except when using an infant car seat. This is a big negative because I find it very helpful for younger babies (i.e. during the first 6-8 months or so) to be able to see their parents or caregiver when in the stroller. Compatible car seat brands include Baby Jogger, Britax, Chicco, and Maxi-Cosi. It is not compatible with the Nuna Pipa. There is also an upgraded version of the Mini, the City Mini GT Stroller, which comes with all-terrain tires (though it is not a jogging stroller). UPPAbaby Cruz: I love the UPPAbaby Cruz! It’s a high-end compact, non-toxic stroller that offers almost everything a full-size stroller does. It offers a parent-facing option, which I find so delightfully useful in the earlier months when your baby just wants to see mom. Then, when your baby is ready to explore the world, you can face the seat forward. The seat itself is compatible for both toddlers and newborns (using the newborn insert), and has an easy-to-use recline feature. It is easy to steer and offers a really smooth ride (it rivals the Bugaboo), has adjustable-height handles, and boasts a huge storage basket. It’s not as easy to fold down as the City Mini, but it does stand on its own when folded. Plus, you can rest assured that UPPAbaby does not use toxic flame retardants, BPA, Phthalates, Lead, PVC, Latex, Teflon, or ScotchGuard in any of their products. I’ve been very happy with my Cruz, and find that it’s a better option for your first baby than the UPPAbaby Vista, which is more ideal if you have two young children in a stroller. You can add on an optional bassinet (which you don’t need and probably won’t use) that can also be attached to a bassinet stand and used in your home. The Cruz is compatible with the company’s own Mesa Infant Car Seat, as well as Chicco and Maxi-Cosi seats using adapters. Britax B-Agile or Britax B-Agile and B-Safe Travel System: A lightweight stroller that folds down very easily (also with one hand, like the City Mini), the Britax B-Agile is another great stroller to consider. It features a large canopy for sun protection (so it’s good for a lot of outdoor use) and a generous storage basket. It maneuvers well and is great for everyday use. It doesn’t give you the option to rear-face your child (unless using the car seat), so your baby will always have to face forward when using the stroller seat. The B-Agile is compatible with the Britax B-Safe car seats (and you can save nicely by buying the two together as a travel system set), as well as Chicco, Peg Perego, and some Graco Snugride car seats using an adapter. Britax is committed to not using toxic flame retardants in any of their products. Families tend to fall into two camps with jogging strollers – they either use them all the time or not at all. Hopefully you’ll get plenty of use out of yours if you decide to purchase one. If not, they resell well on Craigslist. Before using a jogging stroller, speak with your pediatrician; many will recommend not using a jogging stroller before your baby is 6 months of age. Bumbleride Speed Jogging Stroller: Bumbleride is a responsible manufacturer, choosing only the best materials for their strollers and using methods to reduce their eco footprint. These are wonderful non-toxic strollers! All of their strollers are free of flame retardants, PVC, phthalates, and polyurethane foam. The fabrics used are Oeko-Tex certified and are made from 100% recycled polyester made using recycled post consumer water bottles. 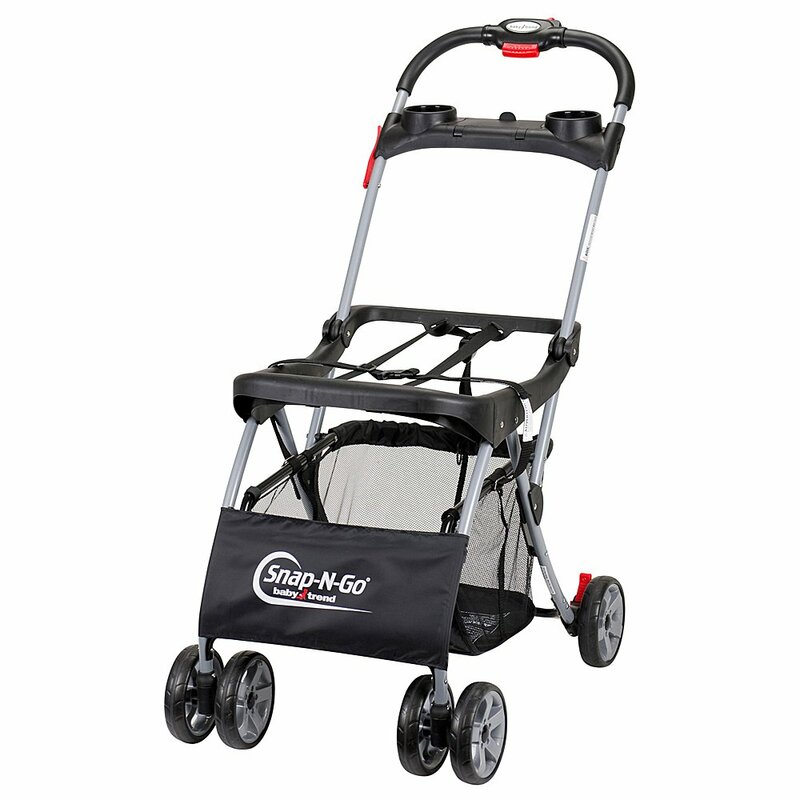 The Speed Jogging Stroller has a lightweight aluminum frame, a large canopy for protection from the elements while outdoors, adjustable handles, and a large storage basket. It has a smooth ride and is easy to fold down. This stroller is compatible with Maxi-Cosi Mico Max 30, Maxi Cosi Mico AP, Maxi Cosi Mico, Cybex Aton Q, Cybex Aton 2, Cybex Aton, and Nuna Pipa car seats. BOB Revolution Flex Stroller: The BOB is the go-to stroller for your family’s outdoor adventures (and is also great for daily use, if you don’t mind lugging around a heavier stroller). 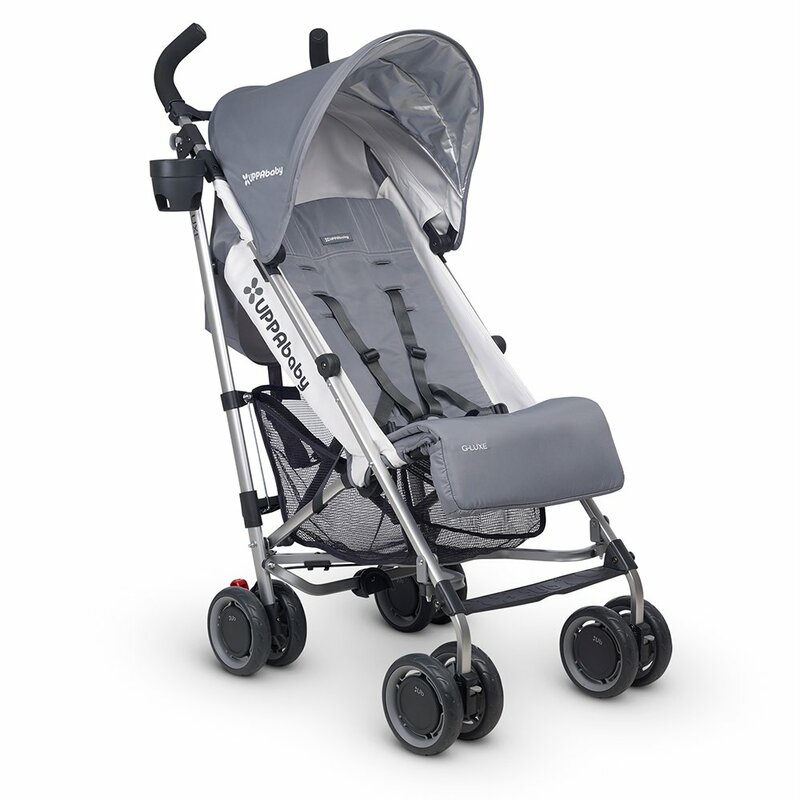 It’s an all-terrain stroller with an impressive suspension system that can safely be used for jogging. It comes with an adjustable handlebar, a lock-or-swivel front wheel, and an easy 2-step fold. It’s easy to use, easy to lock and unlock, and also very comfortable for babies and toddlers alike. This is a popular choice for most families, and many parents I know love their BOB. At around 6 months of age, you might find it more convenient to start using a more lightweight stroller instead of your full-size stroller. That’s when an umbrella stroller will come in handy. UPPAbaby G-LUXE: This is a wonderful umbrella stroller because it has a lot of features that many other umbrella strollers omit. First, it is incredibly well-made, being an UPPAbaby stroller. So you know that you can count on UPPAbaby’s excellent quality and customer service (should anything ever not work out). And it’s also one of the better non-toxic strollers available. 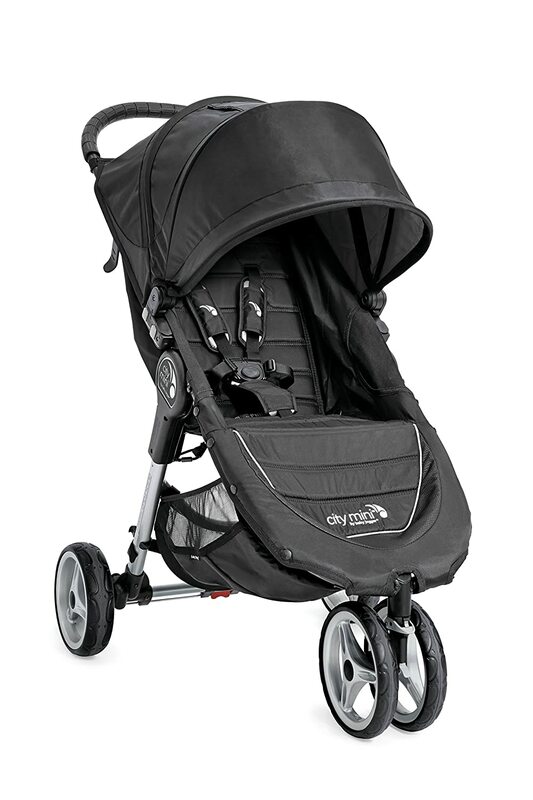 It comes with the same impressive sun canopy that you’ll find on the Cruz and Vista strollers, that offers plenty of protection from the sun. The seat reclines to three positions, and it comes with a carry strap (for when your toddler just has to walk on their own!). The stroller also stands on its own, which is helpful for so many reasons. As with all UPPAbaby products, the G-LUXE does not contain any halogenated flame retardants. Did you find the perfect stroller? Be sure to head over to my guide to non-toxic car seats to find a compatible car seat for your baby! Hi, would you know if the BabyZen YoYo stroller is non-toxic? Thank you! I have just recently been in touch with them and it looks promising but I haven’t completed all my research. NO flame retardants, PVC, phthalates, BPA, formaldehyde, or AZO dyes. Thank you for the quick response! Love your website. which is it? does uppababy use pvc? which is or are the most non-toxic? Thanks for asking me to clarify. Their rain shields contain trace amounts of PVC for flexibility. Hi there! 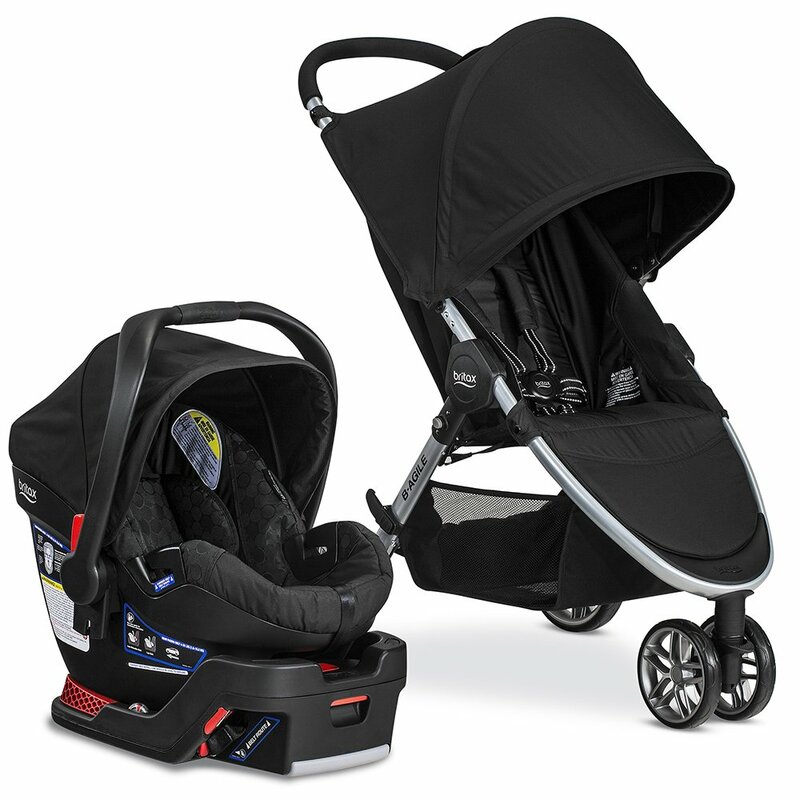 Do you know if the Baby Jogger City Go car seat contains brominated flame retardants? I believe it does. The company wouldn’t get very specific with me about their car seat. What about the Maxi Cosi? 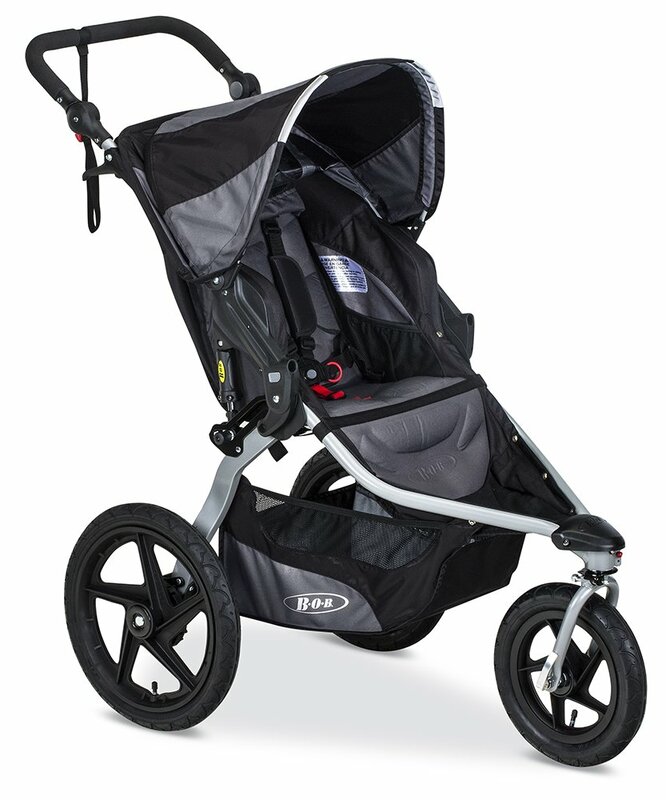 Would you recommend the Britax B-Free stroller in addition to the B-Agile? Thanks! Hello, Can you please find out about the Nuna PEPP stroller ? Do you have any info on the Silver Cross Wave stroller? Hi Amber, it looks like an ok option but for the price I’d rather go with Uppababy. They don’t use any petroleum based chemicals or flame retardants but they do use some PVC (though it does not contain phthalates). The fabric is polyester and their bassinet is made from bamboo (which is great). I read that although UPPAbaby doesn’t use any in flame retardants in their strollers, it DOES contain foam which is treated by their supplier. Do you have any more information on this? They have assured me multiple times there are no flame retardants in their strollers since July 2014. I considered the Cruz but thought Vista might be good when grow family. Looking forward to your response regarding what the mattress in the Vista bassinet is made of (hoping its non-toxic!). Thanks! I would also love to know that! I am considering buying the UppaBaby Cruz and the bassinet as well as the Mesa Henry Car seat. I am concerned about the foam in the bassinet and in the car seat though and can’t find anything on their website…would also love to hear that they are non-toxic. Hi! Those are great choices. There are NO flame retardant chemicals in the Uppababy Mesa Henry car seat. None in the bassinet or in their strollers either. Can’t go wrong with these! Only bit of advice I’d offer is to reconsider the stroller bassinet. The Cruz stroller can be used from birth with their infant insert. I bought the bassinet and hardly used it and I’ve heard the same from other parents. (But if you do decide on it, I have to say the bassinet on a stroller is just so cute.) ???? Thanks for that advice! I will definitely look into their stroller insert! That’s great that there are no flame-retardants in the bassinet or stroller, but what about other chemicals? Did they say anything about VOCs, do their products pass any third-party VOC testing (e.g. Greenguard, or Oeko-tex)? I read that you wrote that UppaBaby doesn’t use BPA, Scotchguard etc in their products, which is great, but I would love to hear that it goes farther than that (there are soo many chemicals, without an overall test like Greenguard or Oeko-tex, they can just list what they don’t include, but there could still be other toxic chemicals off-gassing (especially in the foam (stroller insert, bassinet, car seat). Did they send you that list, or is is somewhere on their website? Thanks again for all your great research, your website is awesome! Just wanted to post a little update for anyone who ends up here wondering the same things as I was…I ended up asking UPPAbaby about the foam and they replied and unfortunately it is polyurethane foam -the same thing we avoid in crib mattresses. I personally find that it’s not as bad as using it in crib because the stroller is used outside and with all the fresh air I don’t think the off gassing is a huge issue for the stroller, but for the bassinet, especially if used inside, I do think it’s worth thinking about for anyone looking for non-toxic products for their baby. The baby is very much surrounded by the foam (it’s on the bottom, all around and on top), so especially inside, any off gassing will certainly be in the air the baby breathes. The only truly non-toxic stroller I found in the end was the Bumbleride, but personally I found it so cumbersome and unwieldy when folded that I had to eliminate it for that reason. I hope that by more of us asking these questions, there will be more truly non-toxic options out there. I think it’s important to be aware of green-washing…a lot of companies do it. 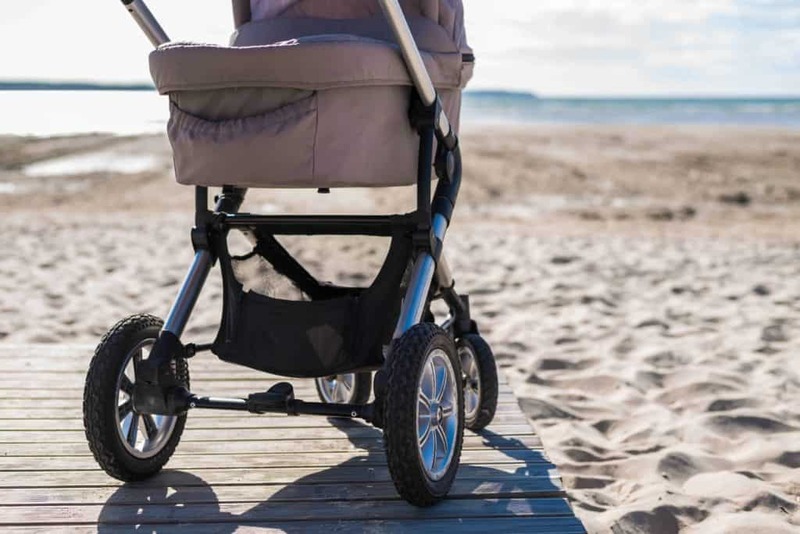 They list what they don’t have in a product and it makes it sound perfect, but quite often there are other things we’d like to avoid that are simply not mentioned – polyurethane foam in some of these strollers is a case in point. Is the NUNA MIXX2 stroller non-toxic? Morning Sue! Nuna strollers do not contain any flame retardants. I’m just waiting for confirmation on whether it contains any other toxic substances. Just wondering if you have heard back from Nuna and determined if the MIXX2 stroller, Pippa LITE, Sena Aire, and LEAF, all do NOT contain flame retardant chemicals OR any other toxic substances? Are they all Oeka-Tex certified? I know you have spoken highly of NUNA products so I am hoping for the best! Thank you. Checking! But have you considered the Cruz? It’s much lighter! Do you have information on what toxic and non toxic materials are used in the BOB ? Yes, it is made by Britax and is non toxic. I’ll update the description- thx! Do you have a list of double strollers that are nontoxic? Not yet! But look into Baby Jogger’s double strollers. 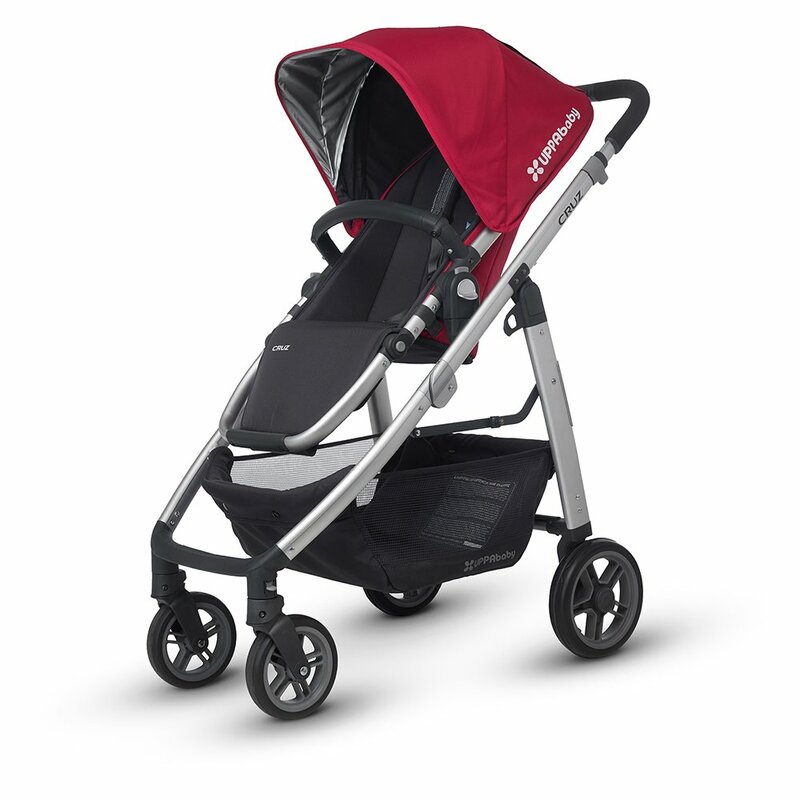 Baby Joggers double stroller is the city select. Do you know if that stroller is non-toxic? Oh! The UPPAbaby Vista converts to a double stroller as well.